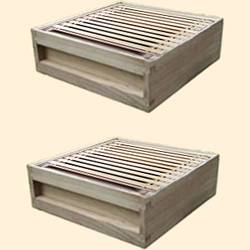 The National Standard bee hive with a Standard Deep Box is the most commonly used bee hive in the U.K. recommended for beginners and professionals. 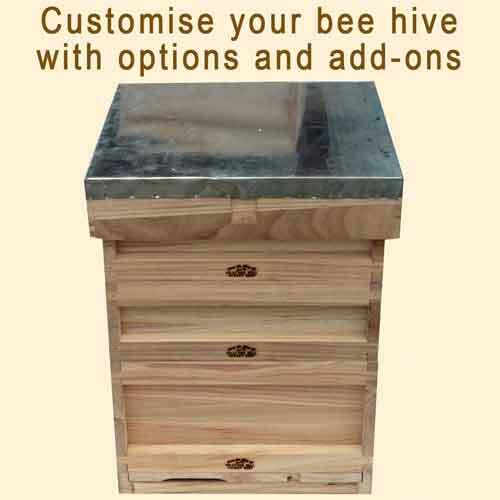 DIY beehives are not recommended for beginners so everything is assembled - no DIY needed. 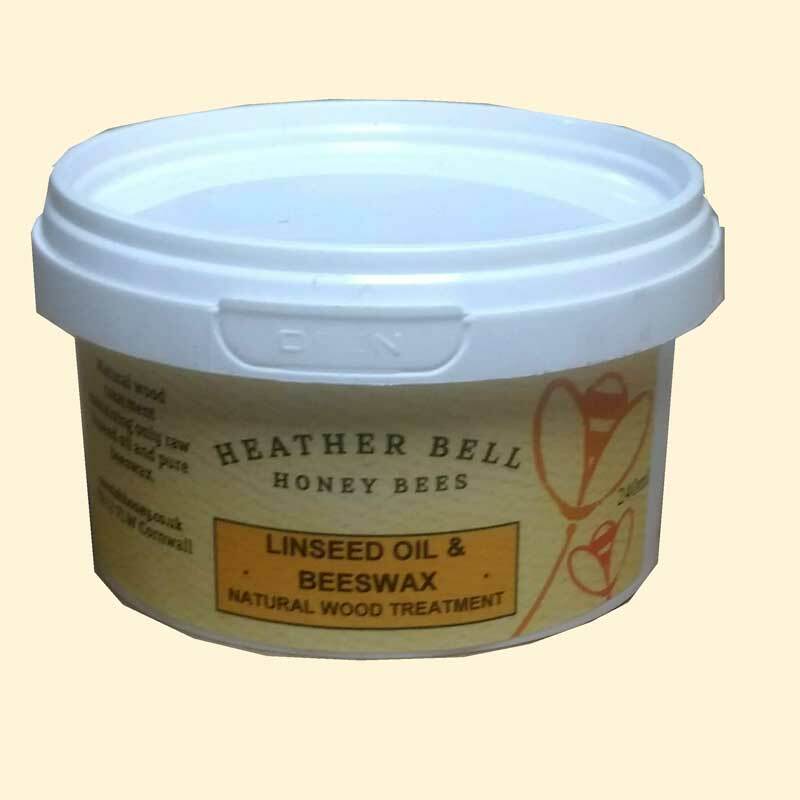 We have carefully designed the contents of this kit so there is everything needed to start keeping bees. Empty Extra Shallow box to house the Feeder. 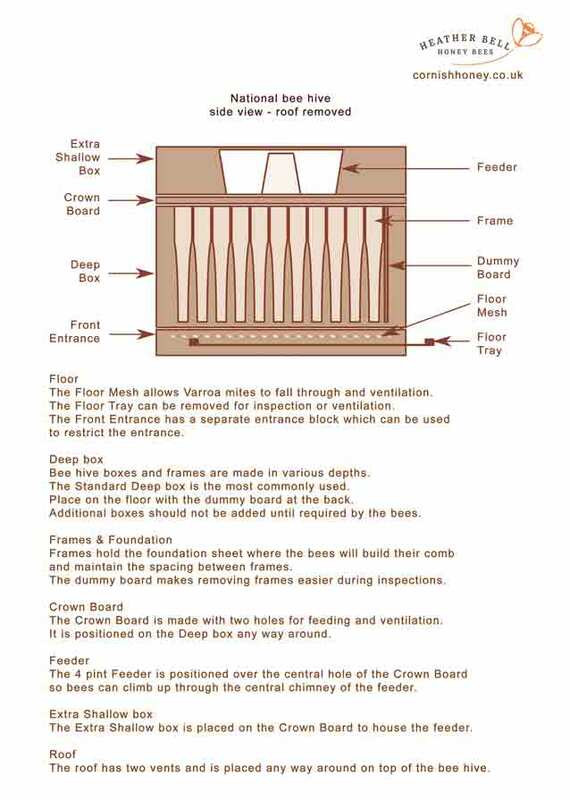 Standard Deep Brood Box complete with 11 Hoffman self spacing frames fitted with wired wax foundation and 1 dummy board. Varroa Mesh Floor with Entrance Block and Inspection Tray. 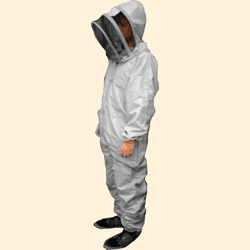 White Beekeeping Vest with Zipped Hooded Veil - one size fits all. 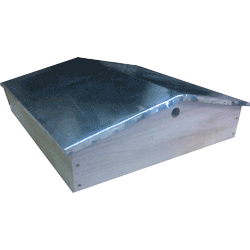 Stainless Steel Bee Hive Smoker. A book is essential for beginners so if you do not have one, we recommend the best selling book, Guide to Bees & Honey by Ted Hooper. 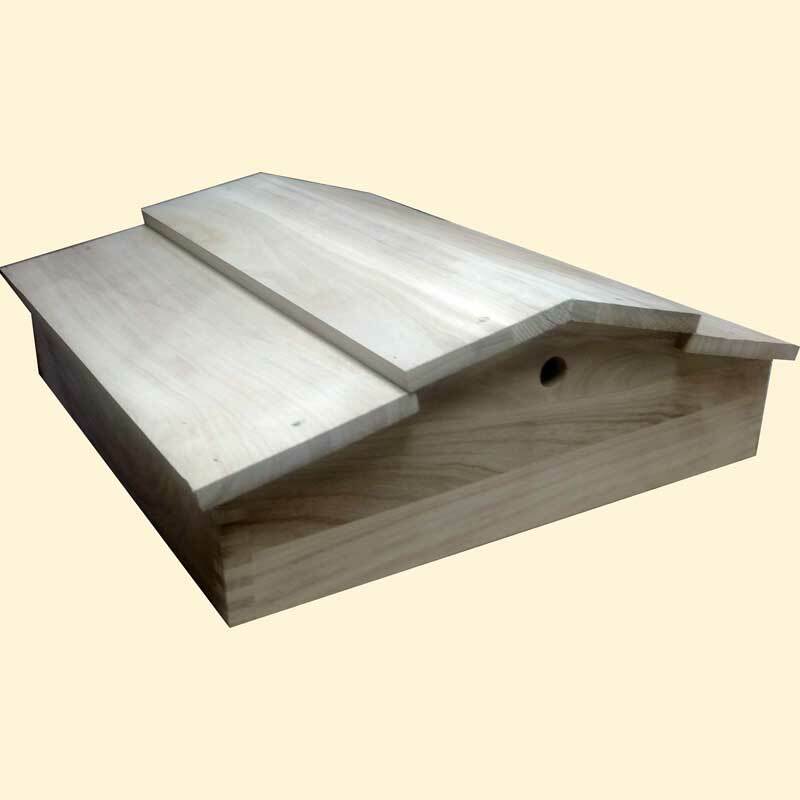 The Standard 4" Roof included with this kit is the most commonly used and practical but there are options for an Extra Deep 8" Roof (which adds an extra degree of insulation), a Gabled Roof or a Classic Timber Clad Roof (ideal for painting). 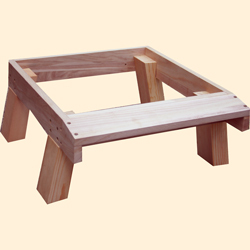 A Hive Stand with screw on Legs can be added. Once established and expanding, usually in their second year, the bees will need additional boxes - these can be added now as an Expansion Kit or purchased when the bees need them. 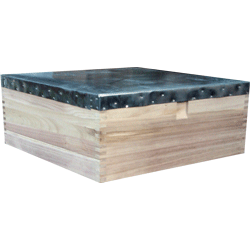 Expansion Kit includes: 2 National Shallow Boxes assembled, 2 Dummy Boards + 22 Hoffman self spacing frames, fully assembled and fitted with sheets of wired beeswax foundation.